TransportiCA Note: As we reported Monday, a HUGE congratulations to VTA for this accomplishment. VTA was an original member of APTA's Sustainability Pledge, and has worked hard on being a leader in the industry. 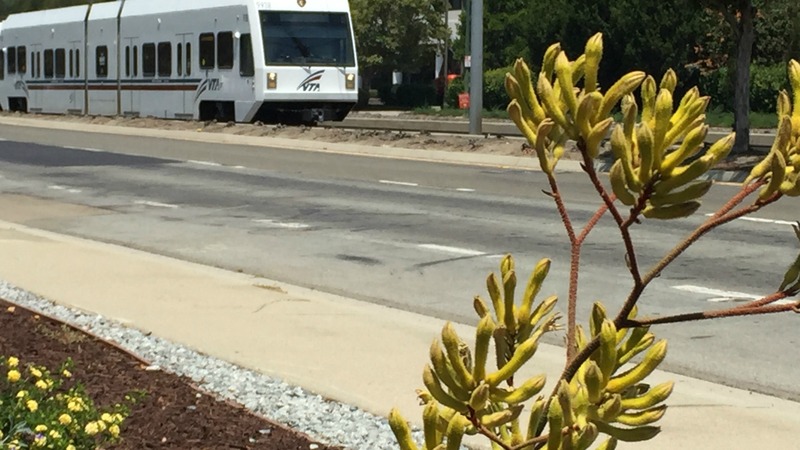 The Santa Clara Valley Transportation Authority (VTA) is proud to receive Gold-Level status in the Sustainability Commitment Program awarded by The American Public Transportation Association (APTA). The formal recognition took place at the APTA Sustainability and Public Transportation Workshop held in Austin, TX July 24 – 26. “Reaching Gold-Level status is a high honor and VTA is one of only 15 organizations in North America to have reached this level of recognition,” said APTA Acting President and CEO Richard A. White. Compared to the 2008 baseline year, VTA reduced water usage by nearly 39% through an increase in drought-resistant landscaping, recycled water for bus washing, reduced irrigation levels, and an overall retrofit to its irrigation equipment and plumbing fixtures. The agency realized an impressive 57% reduction in waste consumption production and a 27% increase in recycling rates, in part, through composting at one of its cafeterias and an expansion of its recycling program. Numerous on-site solar panels were installed at various facilities and the agency participated in a residential solar group share program for its employees. VTA was a founding signatory of the APTA Sustainability Commitment in 2009, which recognizes members who commit to becoming more sustainable in their operations and practices. Through a series of core sustainability principles, the Commitment provides both agency and business members with a common framework that helps define, initiate, and advance sustainability and environmental responsibility in the public transportation industry.